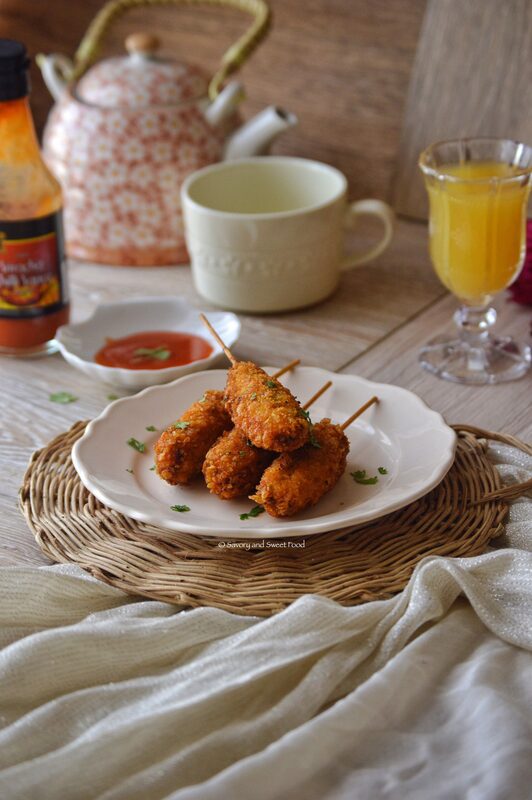 This most amazing appetiser, Fried Chicken Popsicles are made by combining chicken mince with lots of different spices and veggies, and then coating it with corn flakes crumbs and deep frying it to a golden perfection. 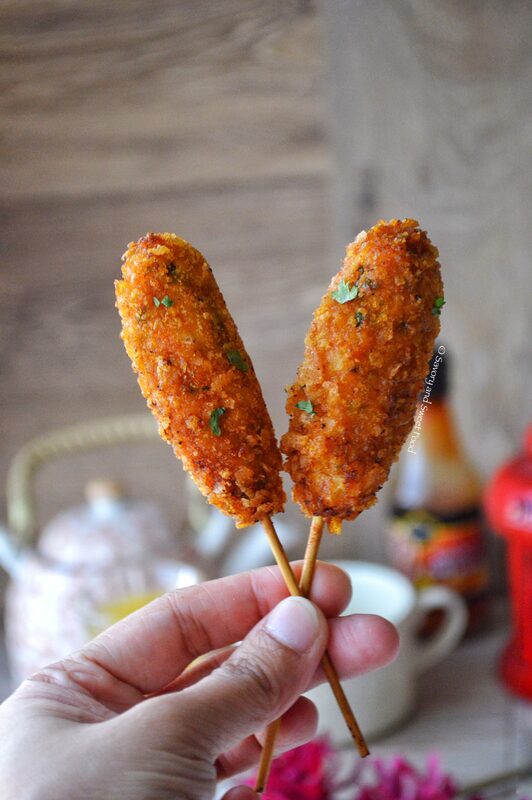 Bite sized finger foods are always a hit in any party, and if it is on a stick, it looks cool too. 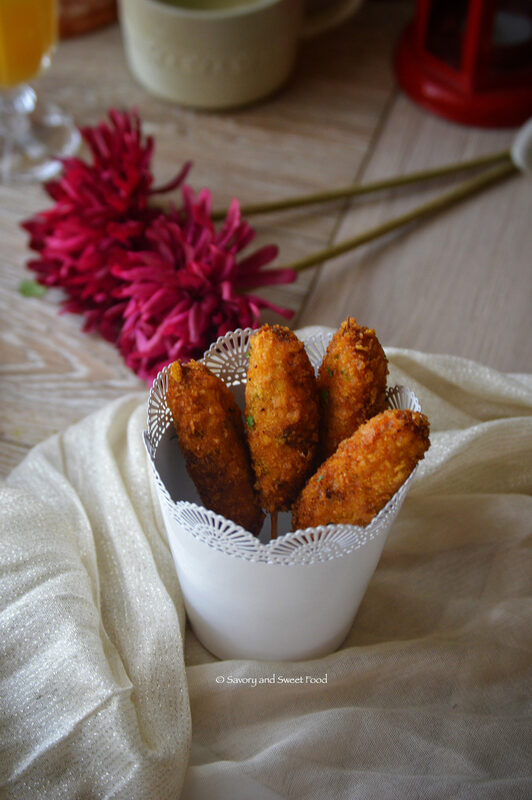 I had this scrumptious appetizer last week from an Iftar party at my sister in law’s place. I took one bite of it and I knew that this will be definitely coming in my blog. 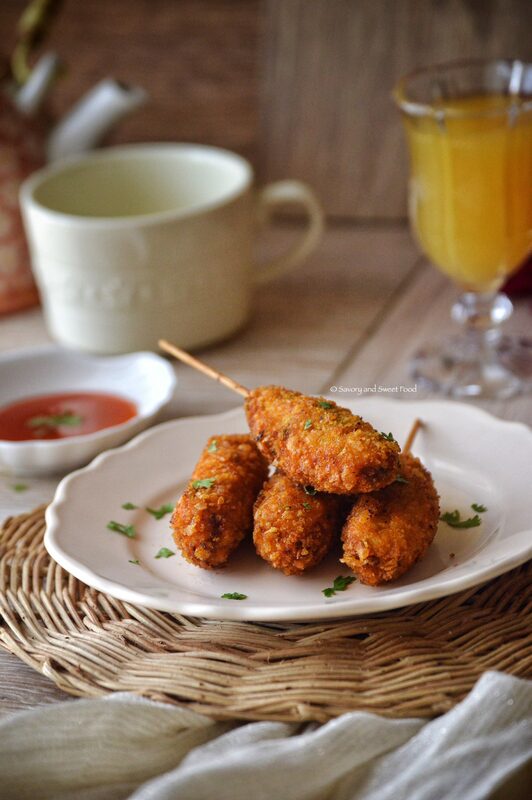 All thanks to Shabana for this flawless recipe. She did contribute a loot to this blog, and those were perfect, no-fail recipes too and loved by all of you. For those who have missed it, check out this rich and creamy Umm-Ali, this decadent Layered Chocolate and Custard Pudding and also this delicious Chicken Kabsa. 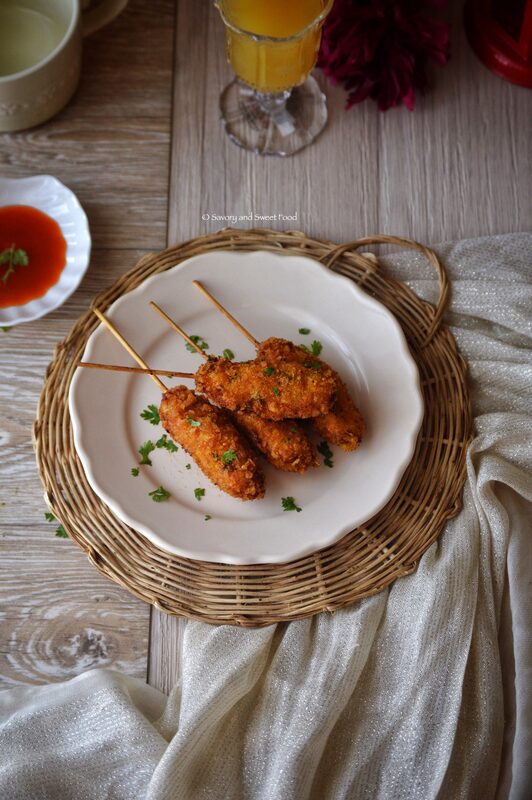 These tasted very good with my favourite sweet chilli sauce, but you can serve this with ketchup or chilli garlic sauce too. Either way, these chicken popsicles are just so succulent, crispy, flavourful and such a treat to the entire family, including the picky eaters. Please do give this a try, I am very sure that you will give this a thumbs up. Enjoy! Be careful when adding salt as the soya sauce will have salt in it. You can make this into small balls too. Make sure that the chicken mince doesn’t have water in it, i.e it should be pat dried. 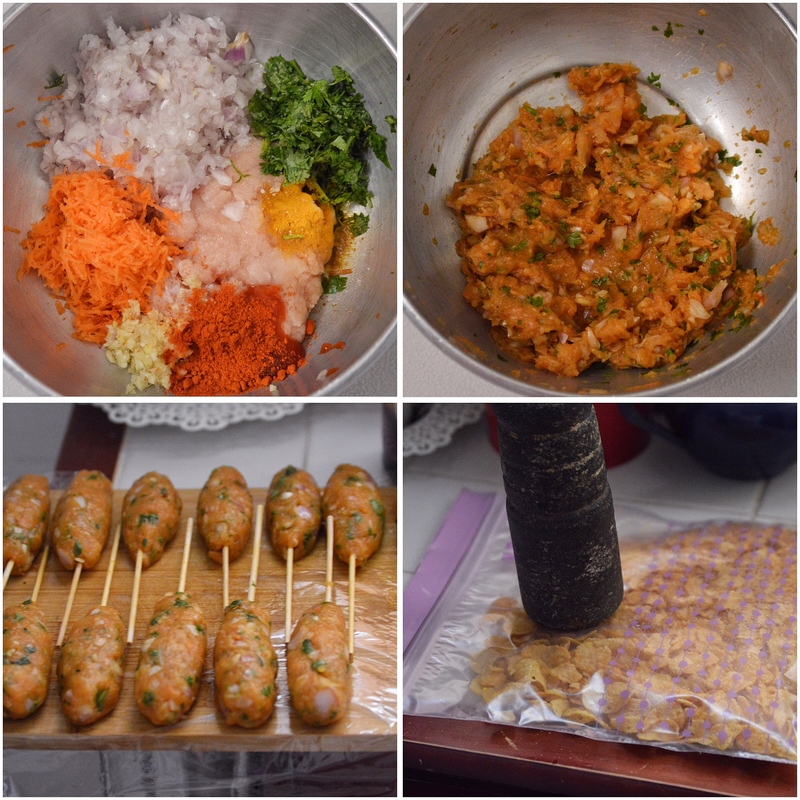 The chicken mince mix would be a little loose and so sometimes it won’t stay on the stick making it difficult to dip in cornflour mix. That is why we are freezing it. Combine all the ingredients from chicken till 1 tbsp cornflour (except the cornflour water and cornflakes crumbs) together in a bowl. Mix well. Make oval shaped patties out of the chicken mix. Make sure that it is not very thick, make thin seekh kabab type patties. Prick medium sized skewers into this like a popsicle or a lollipop. Place this on a cling film covered surface. Freeze this for about 1 hour. Take it out and dip it in cornflour mixture, and then in crumbled corn flakes mix. Freeze again for about half an hour or more. Deep fry on medium low heat for about 10 minutes till perfectly cooked and the crumbs become golden brown in colour. 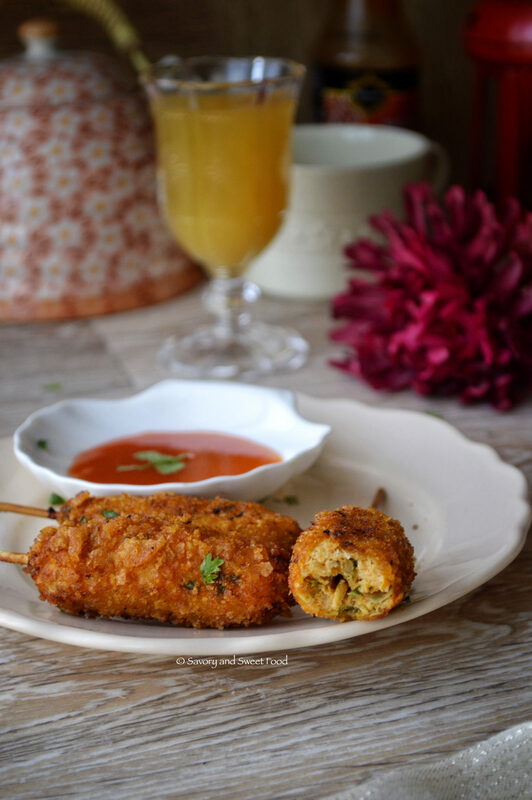 This most amazing appetiser, Fried Chicken Popsicles are made by combining chicken mince with lots of different spices and veggies, and then coating it with corn flakes crumbs and then deep frying it to a golden perfection. 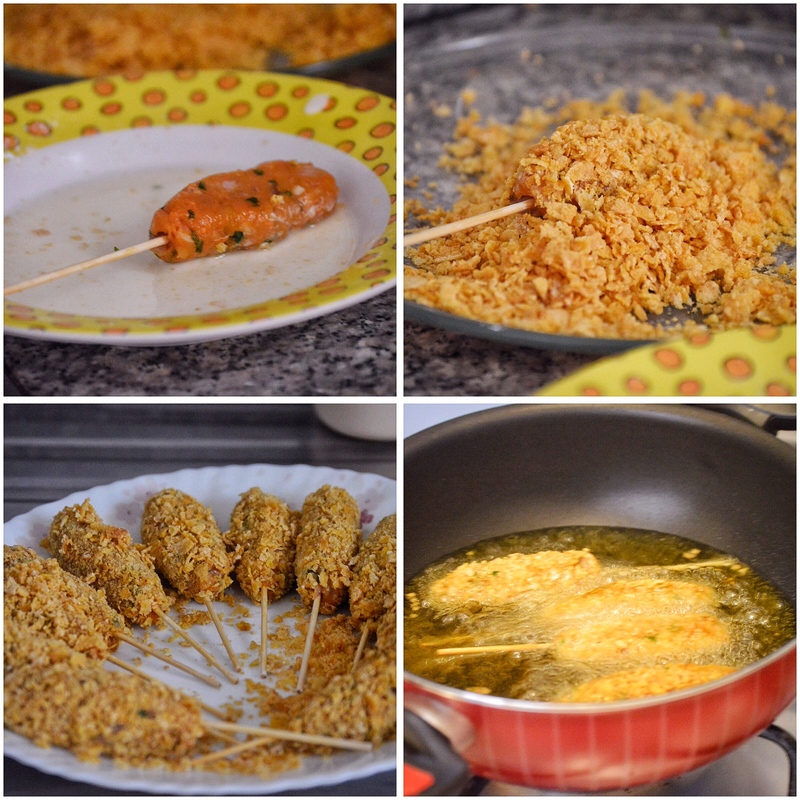 The chicken mince mix would be a little loose and so sometimes it won’t stay on the stick and so it will be difficult to dip in cornflour mix. That is why we are freezing it. Thanks. Make this for them. Oops I guess you had a few problems with this. In shaa Allah hope you will get it right the next time. The inside will get cooked too if you cook on medium low heat for 10-15 minutes. Please do try again. 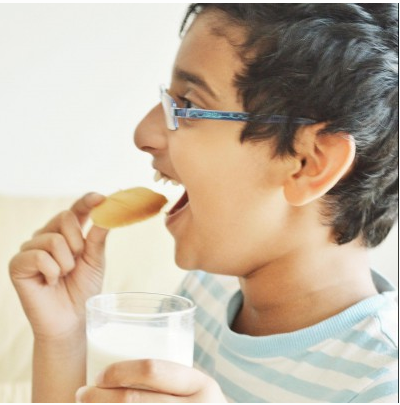 Hi Sadia, another fellow Malayali here:-)….just came across your blog and I wanted to let you know that I felt like I hit the jackpot! Gorgeous pics and step by step explanation in detail make it an absolute treat for me to drop by daily! Please keep up the good work…i want to try out so many recipes, i dont know where to start…thank you for all your effort..truly worth it! Awww very very sweet message Anita! Thank you soo much. So glad that you liked the blog. And I am very happy that I got a reader like you. 🙂 Please do try out the recipes. Hope you will like it all. How many pounds of mince meat is this? That would be 0.441 pounds/ 7.05oz. Hi, Can I use panko crumbs instead of cornflakes? and dip it in the egg instead of cornflour and water mix before applying it? have you tried it this way?